Item # 302341 Stash Points: 3,195 (?) This is the number of points you get in The Zumiez Stash for purchasing this item. Stash points are redeemable for exclusive rewards only available to Zumiez Stash members. To redeem your points check out the rewards catalog on thestash.zumiez.com. 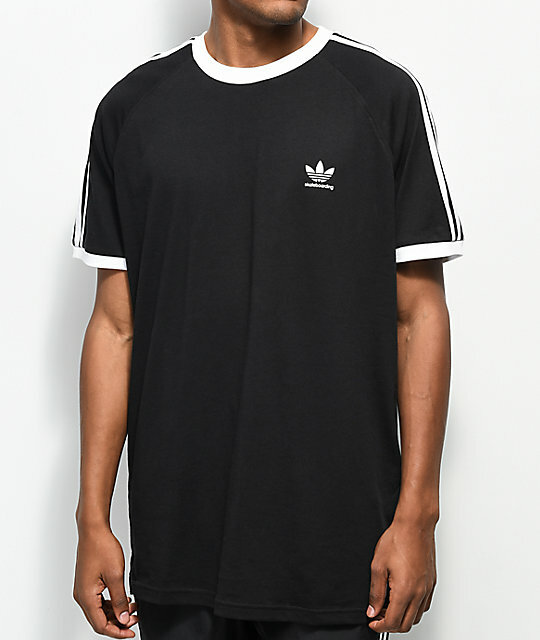 Versatile and stylish, the California 2.0 black t-shirt from adidas is great for taking your casual daily look to another level. Coming in a black colorway, this lightweight design has a special Climalite construction that wicks sweat away from the skin. 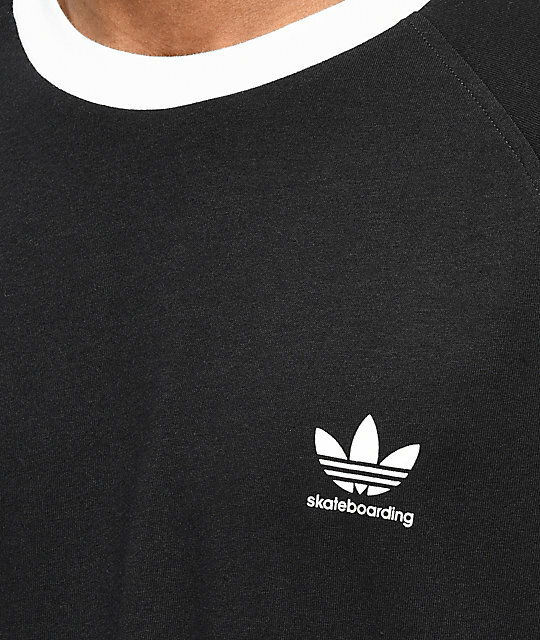 It is finished with a screen printed adidas Trefoil logo graphic at the left chest as well as signature triple stripes embroidered down both sleeves. 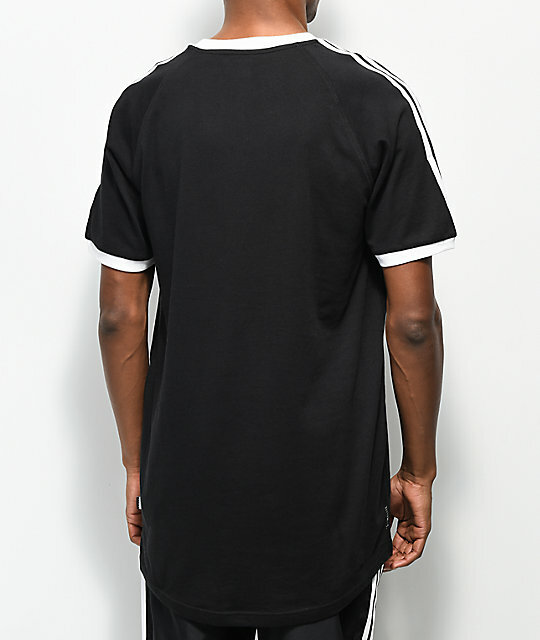 California 2.0 Black T-Shirt from adidas. 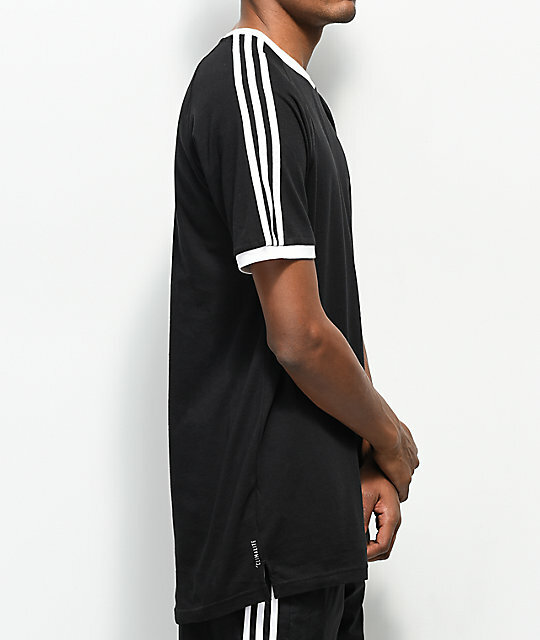 adidas Trefoil logo graphic screen printed at the left chest. Triple stripes embroidered down both sleeves. Tagless neck lining for comfort. Woven brand tag at the left side seam. 32.5" (82.5cm) from the should seam to back bottom hem.